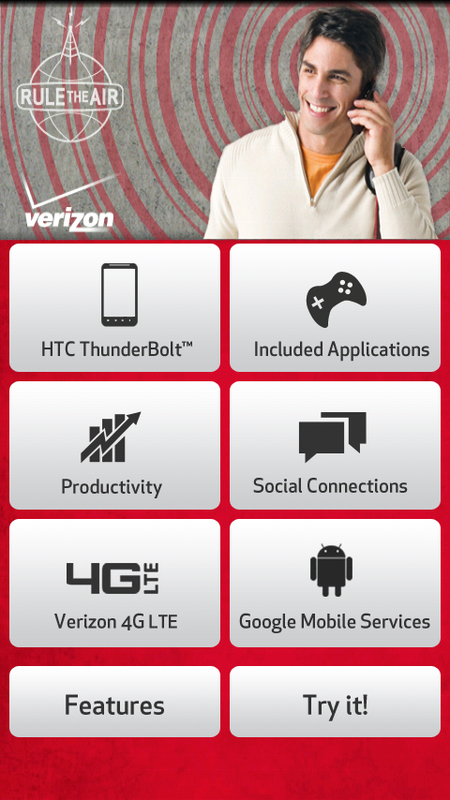 We are currently playing with the HTC Thunderbolt‘s “device showcase” application that just hit the Android Market courtesy of our friends at Verizon, and for the first time are starting to feel like we are just days away from actually owning one. (Hypebeastin‘!) Now, I know that the release of this device has become a complete mess, but seriously, this is a good sign. Why exactly? 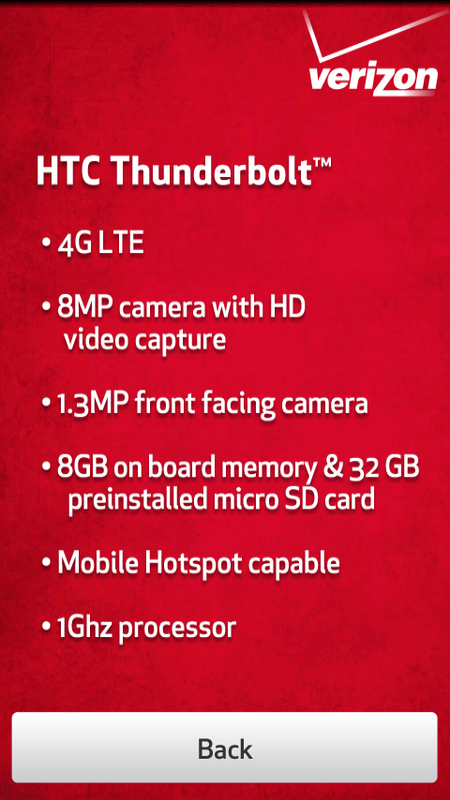 Well because they plan to install this onto employee phones and demo units of the TBolt, so that they can show the features off to potential customers. This may not be a date, but it’s one of those items on the launch date check-off list that can now be crossed off. Speaking of features, Skype with video is no where to be found in any of the demos included in this app. There are mentions of video chatting across the globe, but the term “Skype” is absent the entire time. It’s starting to look like an open-ended time frame, just like we reported on back in February. The fact that Skype is still missing from the VZW 4G site is also not helping the situation. Yikes. And moving back on to good news! One of our connects over at Big Red informed us that certain areas were asked to “demo out” 4G SIM cards and submit the SIM IDs to be activated for Thunderbolt demo units today. And when I say “today”, I mean that this task was to be completed by the end of the day. Not tomorrow. They also mentioned that when asked to perform this similar task for 4G mobile broadband cards, that they had product within a week. Fun times. OK, enough Tbolt talk for one day. That should feed the trolls for the night. You were getting hungry, weren’t you? Cheers @RYDOG626 and VZW Guy!